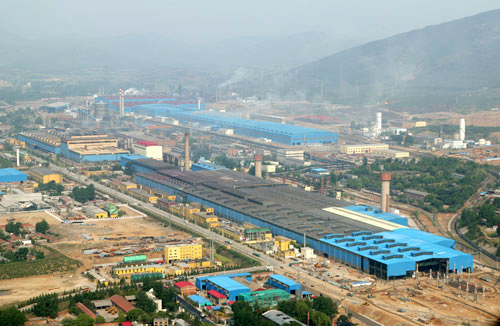 Xinsteel Industrial Co.,Limited is known as famous Xinsteel in steel industry all over the world.Since 1982,Xinsteel has been set up and under management of Chinese state government.At the beginning it devoted itself to chinese domestic steel rolling and distribution for several decades. Till now Xinsteel has became a global steel supplier and owned four foreign trading branches in China main city,Shanghai,Beijing,Wuhan and Zhengzhou.Through branches,our quality steel products has been exported to many shipyards,boiler and pressure vessel manufacturers,heat exchanger plants and government owned oil and gas companies all over the world. Now our main steel products range of Boiler and pressure vessel steel plates,Shipbuilding steel plates,Carbon steel plates,High strength steel plates,Low alloy steel plates,Weather resistance steel plates and Oil platform steel plates and Steel profiles have been approved by German TUV,CE Mark and Nine international classification societies. (ABS,DNV,BV,LR,CCS,GL,NK,RINA,KR) Our roll processing systerms have also been certificated by ISO 9001:2000 and ISO 14001:2004.These certificates gurantee our providing high quality steel to our vast customers all the times.